Bust of furious female warrior of Wasteland. 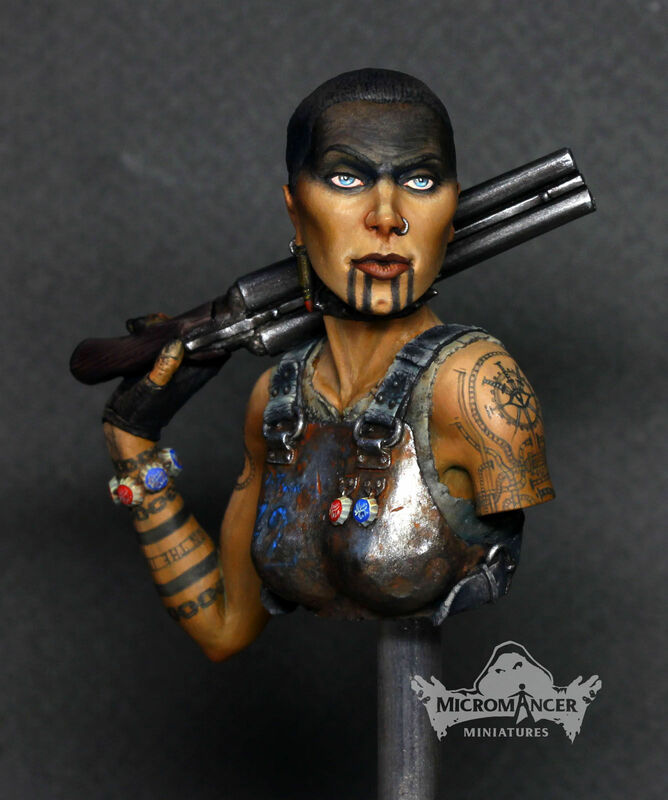 Original scale model kit 1/10 by Micromancer Miniatures inspired by Fallout, Mad Max and Necromunda. Consist of 5 pieces. Material: resin. Mohawk and shoulderpad are optional. Packed in two cardboard boxes for extra protection.